DCS is pleased to announce our affiliation as a Dealer and System Integrator for UNITY INTERCOM. 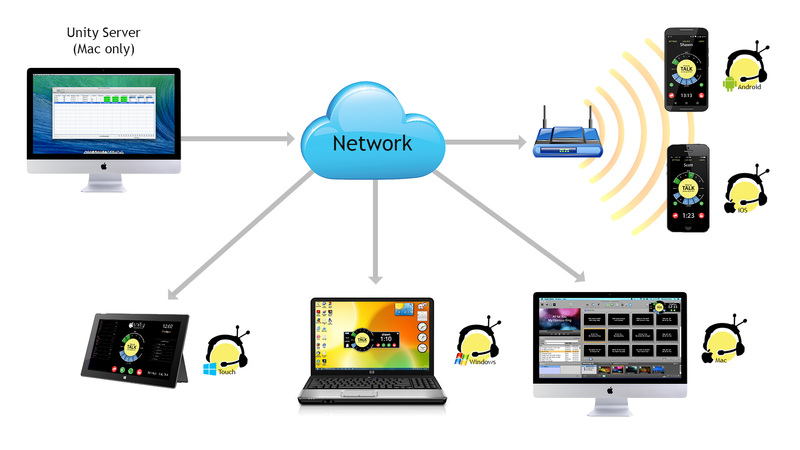 Unity is a 6 channel PL System that runs on WiFi or Cellular Data. Additionally, it has Point to Point Capabilities for up to 58 users, Camera and IFB tally capabilities. The Unity app runs on Windows, Apple, iOS and Android Devices, using a minimum of RAM and DATA. With additional low cost hardware and their I/O software, Unity can become a part of your existing intercom hardware in a manner of minutes. The beauty of UNITY includes its simple to use interface and it's reliability. We could go on and on about UNITY, but we suggest you visit their website and see for yourself. Download the demo, and you'll be amazed at its versatility AND price. ©2016 DCS Digital Communication Systems. All rights reserved.